Haigh’s Chocolates is Australia’s oldest family-owned chocolatier having opened back in 1915. The Company manufactures its products in Adelaide and has several stores in Victoria, NSW and SA. John Haigh the current chairman studied at Lindt and Sprungli in Switzerland in the 1950’s and is responsible for incorporating the traditions of European chocolate making into Haigh’s operations. 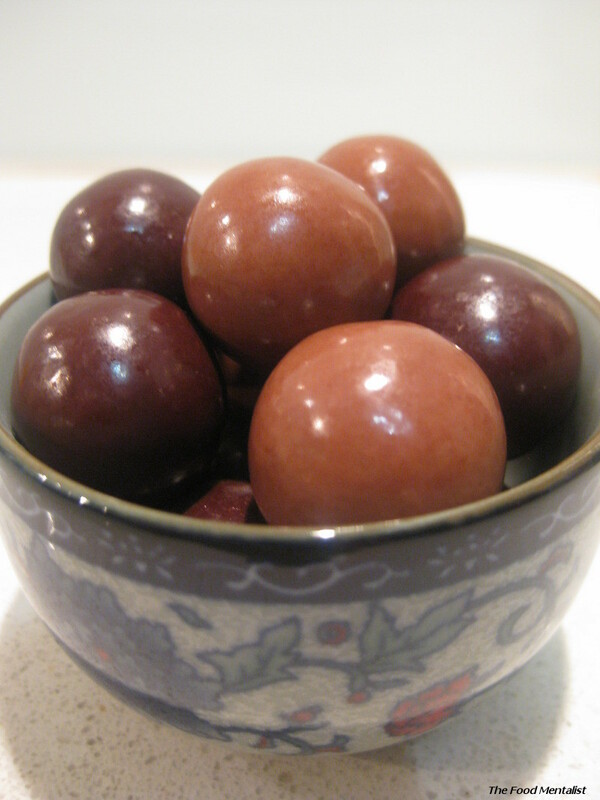 Haigh’s are famous for their chocolate frogs, apricot fruits , Shiraz truffles in which they use wines from the regions in Adelaide and their Australian Collection which feature flavours like honey and macadamia, lemon myrtle, wattle seed and quandong. YUM! 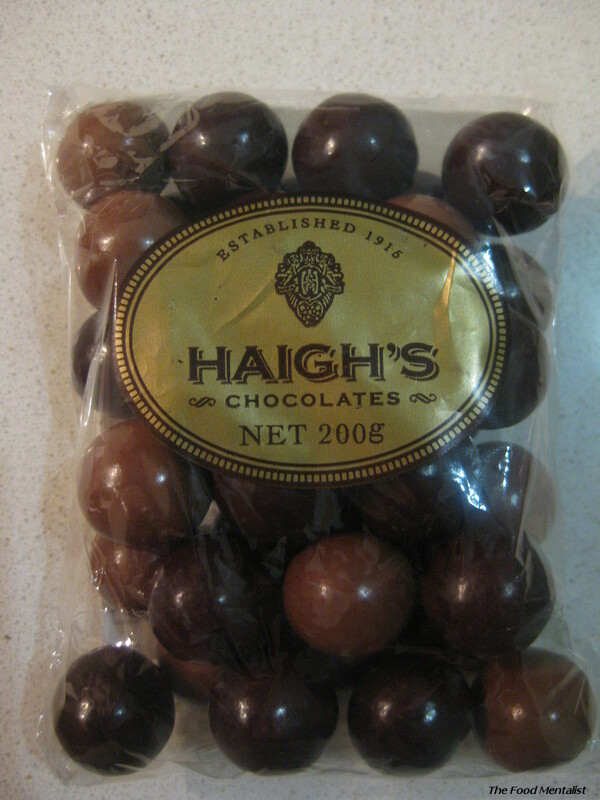 I was walking along George Street in Sydney the other day and came across the Haigh’s store in the Strand Arcade and being the chocoholic that I am I just had to stop in and take a look. Pete and I visited the Original Haigh’s store in Adelaide last year, but we didn’t purchase anything because at the time, chocolate and I were taking a break. A 3 month break to be precise. It was a trying time indeed but I survived and managed to come out on the other side a few kilos lighter and more in control of my chocolate loving ways. My days of inhaling an entire block of chocolate were behind me. I am now able to savour chocolate without having to eat it all at once! *Ahem* , I digress. So, I walked in to the Haigh’s store in Sydney and was greeted by heavenly visions of chocolate, I was surrounded by blocks, bars, handmade gourmet delights , chocolate covered nuts and more. My olfactory system went into overdrive as I was embraced by the sweetness in the air. One of the very friendly staff approached me and asked if I required assistance. Perhaps by twirling and skipping through the store I had brought some unnecessary attention upon myself. I told her that I wanted to try their most unusual chocolate. I wanted something other than a block to challenge my palate. It was at that moment that I was introduced to Haigh’s Berry Chocs. I was told they were strawberry and raspberry flavoured centres dipped in white chocolate then dipped in milk ( for the strawberry) and dark chocolate ( for the raspberry). Yep, thank you very much, SOLD! 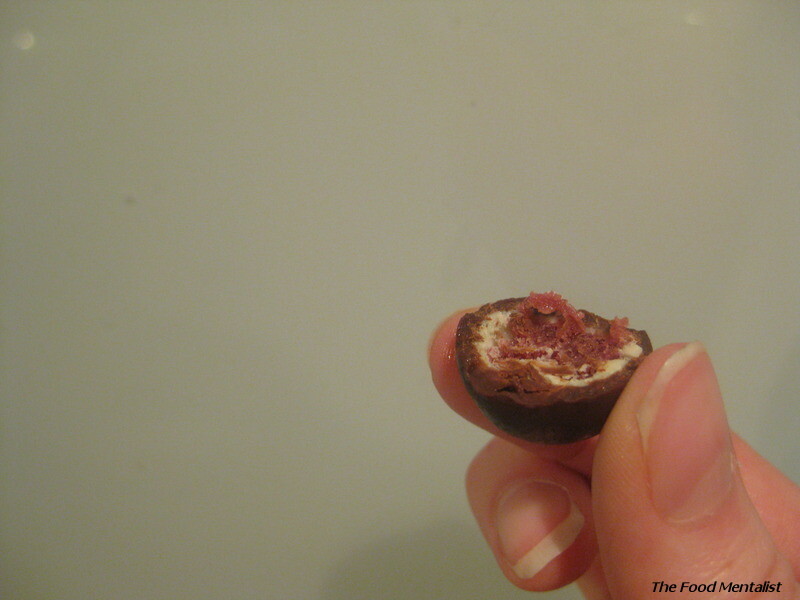 The Berry Chocs were delightful! I was very impressed and so to was Pete and Girlfriday. Next, we savoured the milk and strawberry combo. 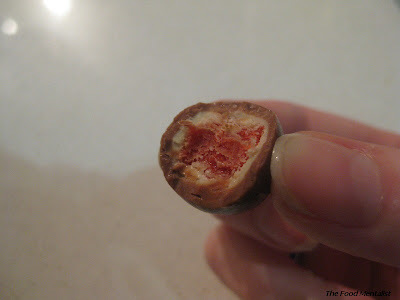 The milk chocolate layer was smooth and velvety and has just the right amount of sweetness to it without being sickly. 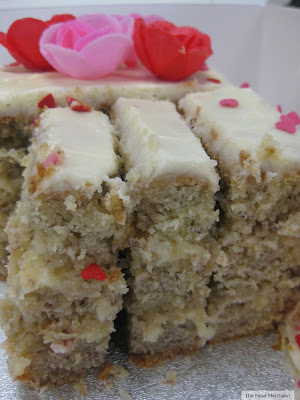 The next layer is white chocolate and it is super creamy and smooth with hints of vanilla. It doesn’t last long before the strawberry flavour starts to come through and we are left with a small piece of strawberry type jube which is slightly chewy.Very nice indeed. The dark chocolate and raspberry combo is divine. For those of you who like dark chocolate, you will be impressed. The dark chocolate layer is smooth and has strong (but lovely) honey flavours coming through. It is not bitter and all and there is definitely no astringency. The white layer is the same as in the milk chocolate combo but it brings a nice sweetness to the dark chocolate. 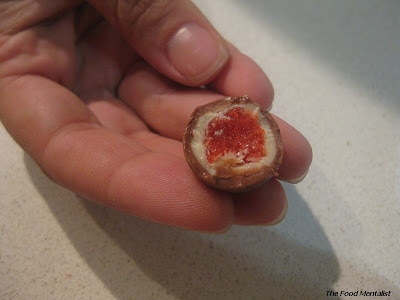 The raspberry jube is also nice and I’m positive there are small raspberry seeds in it. A quick scan of the ingredients reveals that the chocs contain 9% fruit so I could be right. Girlfriday tells me that Godiva make a similar product that she has previously purchased from Macy's in the United States. She has tried to source them here to no avail. Apparently they are only available through Macy's. She tells us that they differ slightly in that the ‘jube’ is actually 100% fruit and it is slightly sour , producing a great juxtaposition between the sweetness of the chocolate and the tart berry. Unfortunately I will have to wait til one of us travels again to try these. 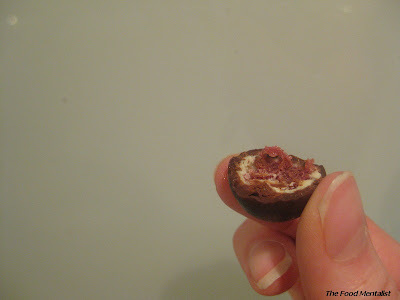 In the meantime, Haigh’s berry chocs are my choice! We all highly recommend them! Tell me, what is one of your favourite chocolates? I think last year they did came out with a new flavour (dates?) and it's quite lovely..
ooh you have got to try the white chocolate block with strawberries pieces zomg it is to die for! i dont normally like white chocolate but the block is crazy awesome! Was in Lyon,France last year and heard about a chocolate produced by "Richart" named Godiva,having a love of this food had to try some. Exquisite,sumptuous,magnificent,best I,ve ever tasted,but quite expensive. Oh yum these look delicious. I used to love the violet chocolate from Haighs, haven't had them for quite a while.